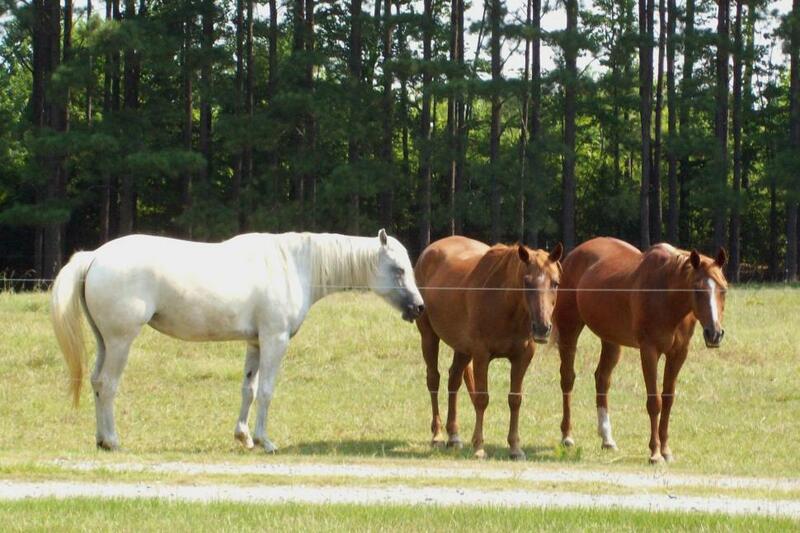 Three beautiful horses gather at a wire fence to enjoy a warm summer afternoon. For a header on a website. Thanks.